"Kash Doll | Booking Agent | Live Roster | MN2S"
Arkeisha Knight, better known under the stage name Kash Doll, is a Detroit-born singer, actress, and model that’s performed alongside Drake and worked with famed producer Rick Ross. Kash’s music career began after she released a remix version of R&B star Tinashe’s track ‘2 On’, gaining crucial exposure on Detroit’s radio station WGPR 107.5 and landing several show bookings. Following this breakout track, she signed with BMB Records and collaborated with local underground talents such as Compton AV, Vezzo, Trina and Ca$h Out. 2015 saw the release of her debut mixtape ‘K.R.E.A.M. 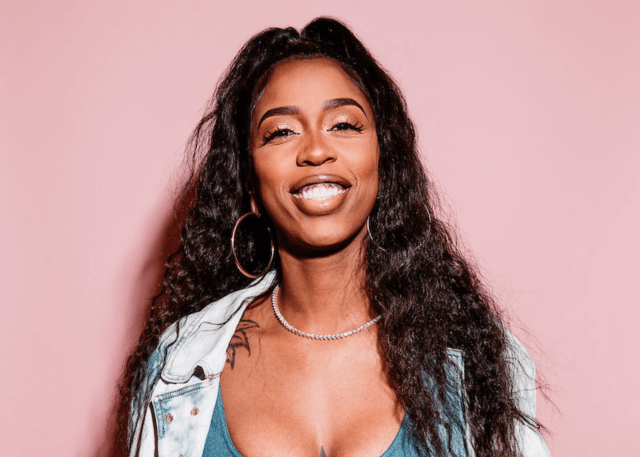 Kash Rules Everything Around Me’, followed by second offering ‘Keisha vs. Kash Doll’, an overnight success featuring contributions from Trina, Lyrica Anderson and B.O.B. The release was downloaded over 600,000 times in its first two days, propelling Kash Doll into the mainstream and confirming her status as a rising star. In 2016, Kash Doll released her third mixtape, ‘Trapped in The Dollhouse’. Her growing status led to a spot on stage at the Summer 26 tour performing alongside Drake – an achievement that has pushed her into the national spotlight and helped boost the massive success of her following release ‘The Vault’, including features from Rick Ross, Rico Richie, Tyron, with production from Zaytoven. During the past year, Kash has received the ‘Issa Wave’ award at 2017’s BET Awards, in addition to releasing her 2018 mixtape ‘Brat Mail’, described by Pitchfork as a “victory lap” for the young artist. When she’s not performing to adoring crowds across the US and beyond, KD is spending time in the studio working hard on her debut album.